Professor Harrison’s wildflower study shows how drought and fire can provide rare opportunities to study loss of diversity caused by climate change. 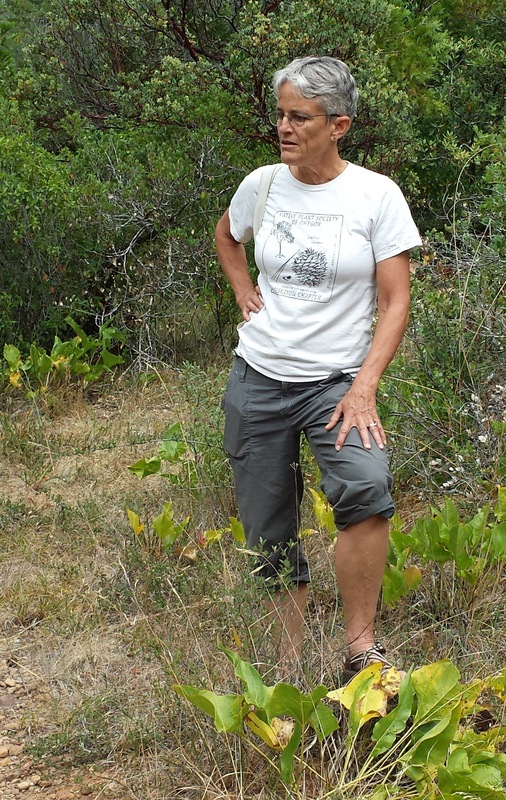 For 15 years, University of California, Davis, professor Susan Harrison has been studying one of the state’s most beautiful natural wonders: its native wildflowers. Her data, recently presented in a study published in June in Proceedings of the National Academy of Sciences, shows a correlation between drought and our changing climate and the loss of diversity in native flowers. Added to loss of habitat and the threat of invasive species, incredible floral springtime displays are decreasing in occurrence and diversity. The research has been conducted at the Donald and Sylvia McLaughlin Natural Reserve, the site of a former gold mine in a unique ecological region at the junction of Lake, Napa and Yolo counties. The silver lining is the opportunity drought and recent wildfires provide to allow further research into how tolerant native wildflowers really are. The question she and her colleagues are trying to answer is: How long can a seed lie dormant and still return to life? Water Deeply: Can you describe the study you published in June and what some of the main findings were? Susan Harrison: It began back in the late 1990s when I was interested in the variable sets of livestock grazing on grasslands and I set up what we call the “80 Sites.” These are 80 locations scattered all around the reserve and they span a lot of different soil types and different grassland community types. It was only going to be a two-year study focusing on livestock grazing effects. But a fire came along and I studied the fire effects for another couple of years and other ideas came along. So pretty soon I had been sampling it for 15 years. Every year we would go to each site and record the species and their abundance. We’ve used that for all different purposes, looking at all kinds of different ecological questions. When I realized we had 15 years of data, that’s about the length of time that it might take to be able to detect long-term change and trends. We were quite shocked to see that there were long-term trends and they showed that diversity was declining and the declines were in the loss of these native annual forbs (flowering plants). 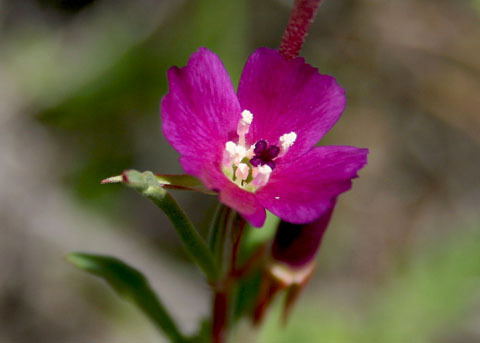 Water Deeply: How have drought and climate change affected wildflowers? Harrison: I don’t want to overstate the global significance of this one study that I did, but it was really surprising. We found, over a 15-year period, a decline in native annual plant diversity and it was statistically really strongly tied to winters getting drier. So we don’t know if that’s going to continue in the future, or it could even reverse somewhat if we get some wetter years down the road. But it was surprising to see that over such a long period of time on a very small scale, species were just kind of blinking out, leading to a lower density of those displays of color than we’re used to. Every year is different; sometimes you get a fantastic wildflower year and other times it’s not such a great year. But the good years are not quite as good as the past and the bad years are even worse. In my data, there was a downward zigzag in density and diversity of native annuals. Water Deeply: What other experiments will you be conducting at the site? Harrison: We are going to study at the McLaughlin for at least five more years because now the question would be, if we get a rainy winter, whether we will get a significant recovery of diversity with it. The other thing we’re doing just to hedge our bets is set up field water experiments. We have a giant outdoor irrigation cistern to water a bunch of crops so we will have some plots where we know for sure that there will be a wet winter, because we’ll make it a wet winter. Then we can see if that causes diversity to recover. And embedded in that experiment, we’ll also have plots where seeds are added or not added, so we can really see what’s controlling this loss of diversity – whether it’s water alone or depletion of the seed bank or both. Water Deeply: Could the decline in wildflower diversity be permanent, even if we get rain this winter? Harrison: Well, that’s the big question. Are they still there hanging out in the seed bank waiting for that future wetter year, which would be great, or are they gone? Water Deeply: How long can seeds lie dormant before perishing? Harrison: That’s the great unknown. Everybody acknowledges that’s the one thing we really don’t know. There are two basic things that could be going on. One is seeds aren’t germinating because it’s dry and that would be good because they’re still there in the seed bank and they could germinate next year. But the other possibility is they are germinating when they are tiny seedlings in winter, but the soil is too dry and they die. That would be bad because it means they’ve been taken out of the seed bank and they die before they could produce more seeds. That’s the real question: Is it more of the first scenario or more of the second? Water Deeply: What is it about California that makes our wildflower diversity unique? Harrison: The climate is Mediterranean and it’s one of only five places in the world with cool, but not cold, wet winters and hot, dry summers and really short, ideal growing conditions that happen around April. One way to adapt to that is by being an annual. You spend the hot, dry summer as a dormant seed and germinate in fall or winter, flower really quick in spring, and then it’s back into the seed bank. So California has a lot of wildflowers because we have this special climate. The serpentine outcrops (a soil type) we have at the McLaughlin Reserve where I work is a great example of that: a beautiful meadow formed from alluvial soils that comes from these serpentine rocks and which are particularly low in calcium, phosphorous and other nutrients and potentially high in magnesium. Other species don’t do so well there, including these Eurasian exotic grasses. You get these beautiful dense displays of native annuals that might be somewhat like what we used to have more of in a widespread fashion back before all the invasions (by plants from elsewhere). Water Deeply: Are non-native plant species that compete for resources with natives more resilient to drought? Harrison: Ninety percent of the grasses you see, or even more, are annual grasses from Eurasia. Californians almost didn’t have any annual grasses before Europeans showed up – for some strange reason they were mostly perennial grasses. They weren’t introduced deliberately– they probably came tangled in the fur of livestock and that sort of thing– and these species for reasons that are still kind of mysterious have just taken over the landscape. If you look out over the average California hillside, you’re looking at exotic grasses imported from Europe centuries ago. In regular, ordinary fertile soils you often find not very many native plants because these introduced grasses are so abundant. Harsh nutrient-poor soils have almost become island-like refuges for the natives because the exotic species don’t do well there. One potential reason why invasives have done so well is there has been a drying out of the climate since the last ice ages. And it’s possible that in that context, these annual grasses are actually a little better suited to our present environment than some of the natives. The native grasses in California, being perennials, have to survive summer and that’s a pretty tough time to survive. Whereas the annual grasses just died in June or July and produce copious quantities of seeds that sit out the dry part of the year as dormant seeds, so it might be that they are better adapted to a dry climate. The fact that they already dominate the landscapes will only be more so as the climate gets warmer. Water Deeply: The drought has obviously affected this year’s fire season. How does fire affect wildflower populations? Harrison: Because of these recent fires, 39 out of the 80 sites burned. That’s kind of exciting, because fires tend to release seeds from dormancy. So if we get a really wet winter this year we should really be able to observe what the diversity is out there. It’s a great opportunity since it burned about half the sites. We’ll be able to find out much more about what’s present in the seed bank. Looking on the bright side, a grassland fire is far from being a disaster. It cleans out the accumulation of dead material from past years and creates great conditions for seedlings to germinate. If we get halfway decent rain this year, I think we’re going to see probably lots of wildflower diversity. Water Deeply: How has human development affected wildflowers? Harrison: Everything we do tends to be bad for natural landscapes. In the past few decades, the extension of vineyards sometimes comes at the expense of grasslands or oak woodlands that support wildlife. I drink wine, so I’m not going to point fingers and say that other people are bad. But everything we do has the potential to take away natural habitat or degrade the habitat that is left. One important thing that is happening in the Bay Area is nitrogen deposition from automobile exhaust. Nitrogen falling onto grasslands acts as a fertilizer, which increases dominance. It makes the dominant species grow bigger and it tends to squelch out the diversity. There are lots and lots of little tiny species that live in between the big dominant species. So if you fertilize, that tends to be bad. So potentially we are fertilizing the plants through our nitrogen emissions through cars and industry. Water Deeply: Can you describe a native wildflower restoration effort and what the goal is for preservation? Harrison: When people disturb a site they are often required in some regulatory way to put back the native grassland. So there’s a whole industry of people who do native grassland restoration. At some point we should ask ourselves, should we be putting in the same set of native species that were there in the past, because they may no longer be suited to present or future climates. We may have to shift strategies toward using species from drier and warmer climates to do our restoration, because you don’t want to just plant things out there and have them die. It at least needs to be investigated. I wouldn’t advocate that we potentially change how we do everything, but we should certainly be investigating.